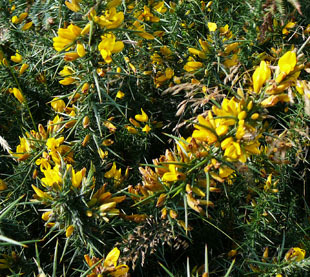 of the West Midlands and East Anglia. 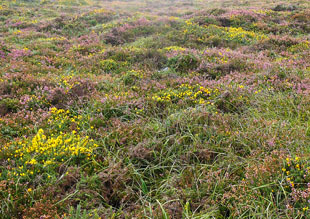 grassland on acid, infertile soils. 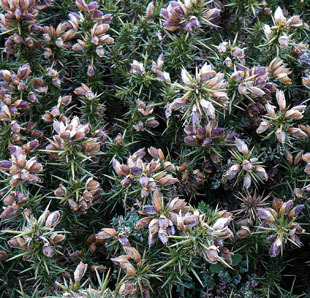 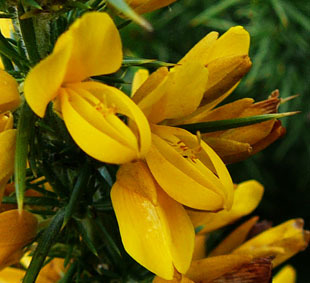 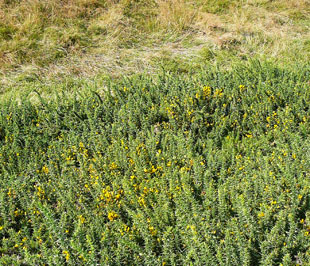 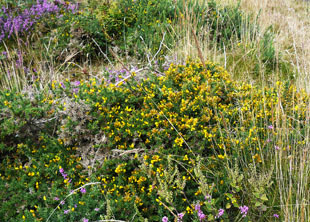 It resembles a smaller version of Gorse (Ulex europeaeus). 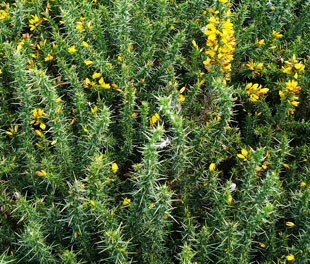 The stems are mainly erect and are densely spinous. 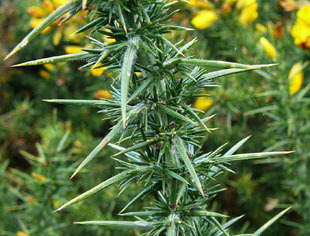 Spines are up to 1.5cm. 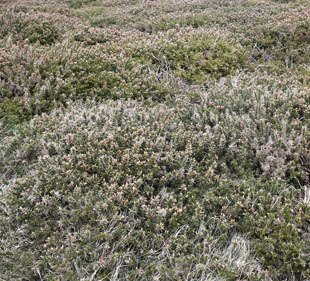 Extensive cover in August - height 80cm approx.